Got a break last week and enjoyed a half day at the National Gallery of Art in DC - saw three shows: Albrecht Durer, The Pre-Raphaelites and Diaghilev and the Ballets Russes…a bit rushed, but still an enriching visit! 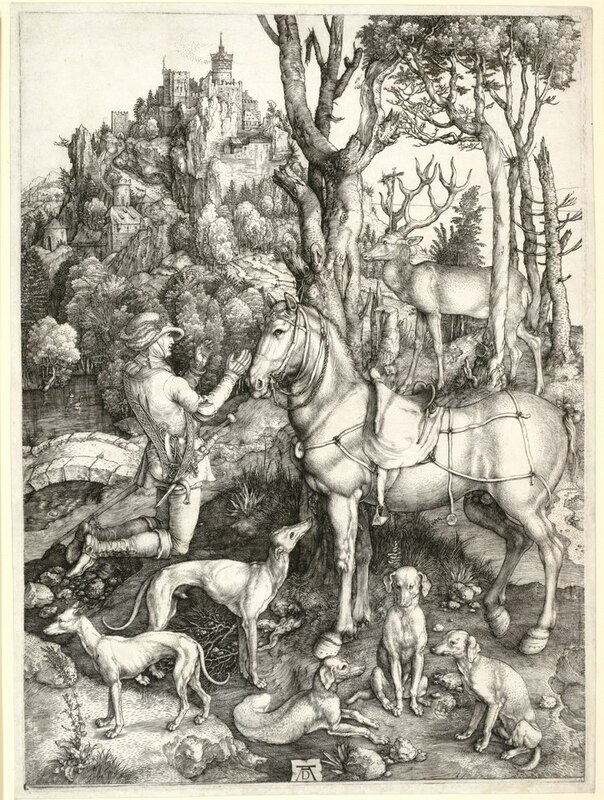 From the National Gallery of Art: “Saint Eustace,” the patron saint of firefighters and anyone facing adversity, is Dürer’s largest copperplate engraving by far. It tells the story of Placidus, a Roman military commander who, while out hunting, meets a stag holding a cross with the crucified Christ between its antlers. Deeply moved, the Roman converts to Christianity and takes the name Eustace (the Steadfast). 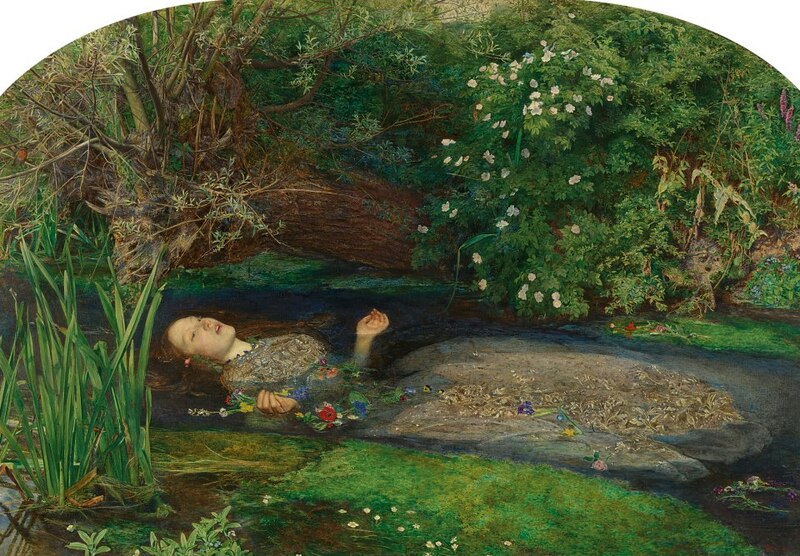 From the National Gallery of Art: In “Ophelia” (1851–1852) John Everett Millais imagined a scene that is only described, never staged, in Shakespeare’s play: the drowning of Ophelia, Hamlet’s lover. Millais began the picture outdoors and worked for months on the background, painting it on the banks of a river. He returned to London with this canvas completed but for blank sections in the center awaiting the insertion of the figure. The model, Elizabeth Siddall, lay in a filled bathtub to help him paint a floating body realistically. The painting exemplifies the Pre-Raphaelite poetic, psychological, and descriptive approach to depicting history and nature.